Les Mills’ latest program – LES MILLS BARRE – allows your club to harness this red-hot trend, driving member satisfaction, boosting GX participation, attracting new members and helping you compete with the boutiques. Kate Cracknell reports. As one of the hottest trends of recent years, it’s been impossible to miss the impact barre has already had on the fitness sector. This ballet-inspired workout – often fusing elements of pilates and yoga – has dominated the headlines and struck a chord with consumers looking for a low-impact conditioning workout. The segment grew by 141 per cent between 2013 and 2015 alone, and shows no signs of slowing. A proliferation of specialist boutiques has fueled this growth, from small independents to larger brands such as Barrecore in the UK and Pure Barre, barre3 and The Bar Method in the US. Established boutique operators such as Heartcore (UK) and FlyWheel (US) have also embraced the trend, the former introducing barre classes to its existing mind-body timetable, the latter launching FlyBarre studios alongside its indoor cycling offering. We’re seeing more and more full-service clubs adopt barre too, with operators around the world understandably keen to benefit from the surge in consumer interest. The challenge? This is a specialist area: if instructors don’t have a dance background, it can be a tough task to put together a safe, effective, engaging freestyle class. The corresponding challenge for consumers is this: it’s often a choice between paying US$30 per class at a specialist boutique, where they can expect to get a well-designed, highly effective workout, versus taking their chances at their usual gym; some will get a great class, others perhaps less so. There’s also the fear among many new to the trend that they’ll be out of their depth if they haven’t done ballet in the past. But there’s now a solution. LES MILLS BARRE, the latest program from Les Mills, launches in March 2018 and enables gyms around the world to deliver engaging, effective, safe and consistently high-quality barre classes to their members – all in their existing studios. Not only that, but with no previous dance experience necessary among participants, the benefits of barre become accessible to everyone. The 30-minute class is easy to implement whatever your studio space, as no actual bar is needed: there’s a focus on bodyweight exercise, with small hand weights or LES MILLS Smartbar plates the only equipment. Without the traditional bar for support, the muscles supporting the body’s stability and strength become the focus of the workout. A series of simple yet challenging exercises – all set to quirky, modern music – encompass everything from small, focused movements through to graceful combinations that lift the heart rate and tone the entire body. It’s a beautiful, elegant yet effective workout that helps participants develop the strength, poise and sculpted figure of a ballet dancer. 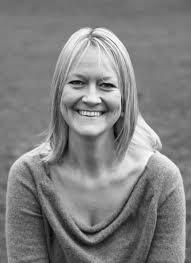 Diana Archer Mills – Creative Director for BODYPUMP, BODYCOMBAT, BODYBALANCE and several other LES MILLS classes – created the new program. With her extensive strength and mind-body experience, she recognized that Barre had a natural fit in the Les Mills lexicon. The new program has been designed to be fundamentally respectful of the discipline on which it is based. “Even though it has been customized for a group fit feel and set to cool music, I wanted to ensure LES MILLS BARRE delivered the athletic results of true balletic training,” Archer Mills explains. LES MILLS BARRE harnesses all of this. It’s a dynamic class that builds strength, shapes and tones the muscles throughout the body, and improves postural alignment. As with the majority of mind-body classes, it also offers invaluable time out to escape the everyday. 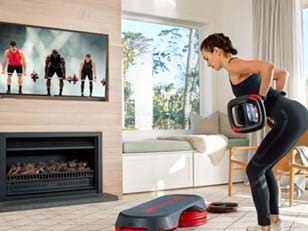 Phillip Mills, Les Mills Managing Director, says: “We’re a little late to the party here, but we were never going to bring out a new program until we were happy it ticked every box. “We developed a Barre class back in 2006, but were never happy with its performance in pilot. However, this time I think we really got it right – a beautiful combination of strength and grace. The program has brought a real buzz to the pilot facilities in several countries. “Globally, we see a clear opportunity for operators to use it to bring new audiences – and particularly younger participants – into their clubs. “By introducing a new category to the timetable, LES MILLS BARRE also represents a chance for operators to engage more of their existing members in the retention-boosting activity that is group exercise – those who, to date, haven’t found enough on the timetable ‘for them’, or who are looking for further diversity and challenges in their workouts. “If members have ever trained for ballet, or are simply seeking a new kind of self-expression, they will love LES MILLS BARRE. Get ready for launch day! While some barre workouts already on the market are quite athletic – the offering differs significantly from one operator and one boutique to the next – all the ballet-inspired movements in LES MILLS BARRE are from actual ballet classes and barre routines. It’s a modern expression of classic balletic training. 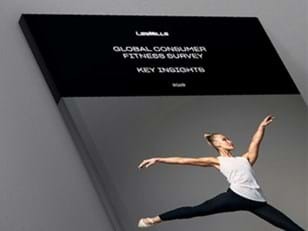 As with all choreography created centrally by Les Mills, the programs are kept fresh with new quarterly releases. Initial Module Training is available from February to all interested instructors; no background in dance is required, just a passion for creating life-changing fitness experiences. With LES MILLS BARRE launching globally in March, get in touch now to understand how you can deliver this boutique trend to your members and get your club ready for launch. Get in touch to talk to the team about what LES MILLS BARRE can do for your members.